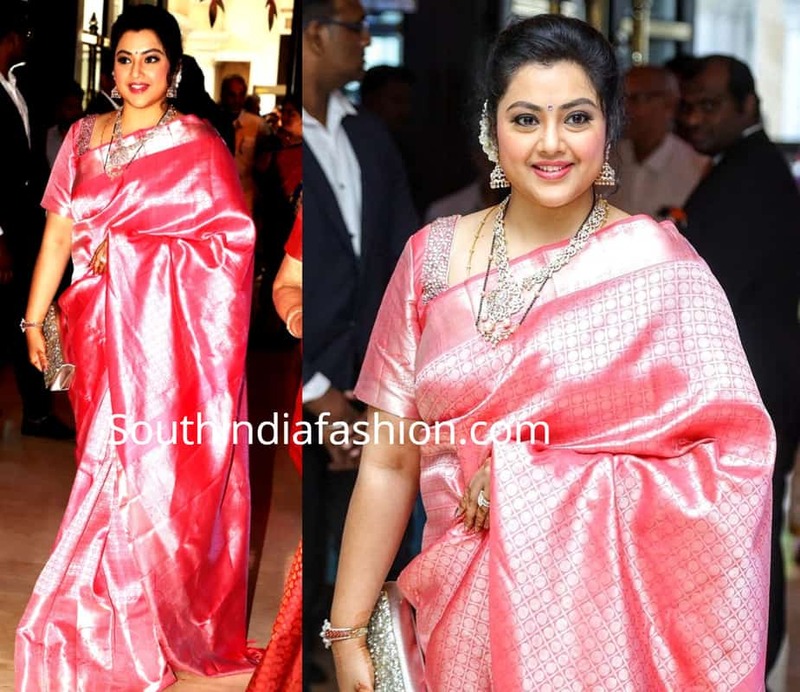 Actress Meena attended Soundarya Rajinikanth and Vishagan’s wedding wearing a pink Kanjivaram saree paired with matching embroidered elbow length sleeves blouse. She paired her look with diamond jewelry and silver clutch. Pink lip, kohled eyes and a gajra bun completed her look! The post Meena in a pink Kanjivaram saree at Soundarya Rajinikanth’s wedding appeared first on South India Fashion.